Over and over again, when I talk to runners in my yoga classes, they tell me that they want to do lots of hip openers. If you’re a runner, you totally know why. Your hips, hamstrings, and glutes feel extremely tight after running, especially if you ran hard. So, I wanted to do a roundup of the various posts I’ve written with hip openers and stretches for runners. My hope is that it serves as a great resource for runners who are dealing with sore, tight hips. Hip Openers for Runners: Where to Start – If you’re new to yoga, as the title of the post suggests, start here. In my yoga classes, I see runners straining to get into more advanced hip openers all the time. Unfortunately, that straining is counterproductive. (Read more about finding the right amount of stretch.) You’ll make progress (and feel better!) so much faster if you find the right pose for your body. I strongly recommend starting with these poses and only move on to more intense stretches when you’re ready. Yoga Poses for Runners’ Hips – These are some good intermediate hip-opening yoga poses. If you’ve been practicing the poses in the “Where to Start” post for several months or more, it might be time to move up to some of these poses to intensify the stretch. (If you’re getting enough stretch with the first stretches, by all means, stick with them!) These will start to feel really good as your hips start to become more open. 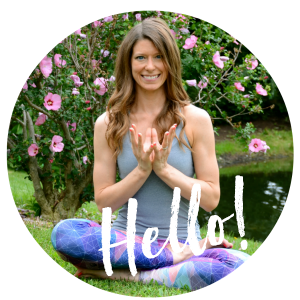 Yoga for Hamstrings – Hamstring Stretches – Let’s not forget that the hamstrings attach to the hips, too! Be sure you’re opening not just the sides of your hips, but the front and back, too. These hamstring stretches will help your hips feel more open, too. Yoga for Hip Flexors – I think many, if not most, runners neglect their hip flexors. (Until they get injured, at least.) They’ll run in the morning then sit at a desk all day, which only make the hip flexors tighter. If you do a lot of sitting, it’s especially important to give your hip flexors some love and to give them a chance to lengthen. Best Yoga Poses for Outer Hips – The outer hips are where many runners want to focus when they do yoga. Their glutes and abductors get really tight while running (especially us ladies, who have a different angle between the leg and the hip) and they’re looking for relief. If this sounds like you, you’ll love these yoga poses. 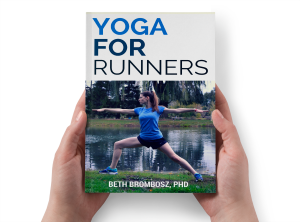 5 Yoga Stretches for IT Band Relief – This is a guest post I wrote for Amanda at Run to the Finish and it’s honestly one of my favorite yoga for runners posts I’ve written. Runners notoriously have all sorts of IT band problems, often due to a combination of weak glutes and a tighter IT band from running. Check out this post for five great yoga poses to help you stretch out your IT band. They’re perfect poses to go through after you foam roll your IT band! You already know I love this post, lol. I’ve been making stretching a priority this year, including all the ip opener stretches. Wow! I’m totally saving and pinning this! I have an angry piriformis that has bothered me for several years, and that has lead to my glutes and hamstrings not always being “user-friendly.” Great info!!! I skipped yoga this week and I can already tell. PINNING.